Ken Grossi (Oberlin College Archivist ), Alexia Hudson-Ward (Azariah Smith Root Director of Libraries for Oberlin College and Conservatory), Carol Lasser (Emerita Professor of History at Oberlin), Sarah Minion (Oberlin ’17), and Natalia Shevin (Oberlin ’17). Please see “About the Authors” at the end of the article for contact and other information about the authors. 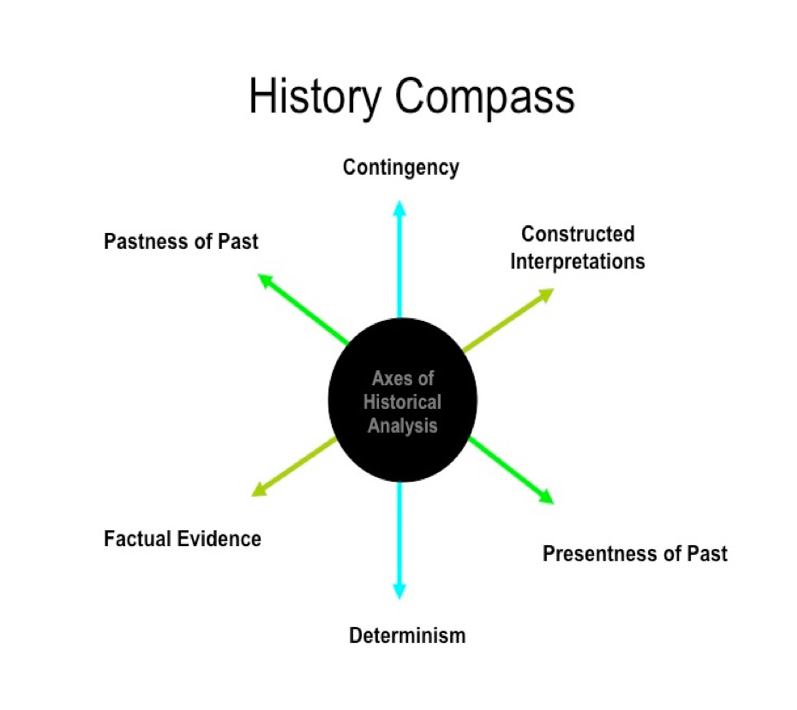 Editor’s note: This article first appeared in the Journal of Interactive Technology & Pedagogy (January 7, 2019) under a Creative Commons Attribution-NonCommercial-ShareAlike 4.0 International license. We thank the authors for their speedy and positive response to our request to allow us to reprint it here. We feel that our GLCA/GLAA colleagues will be eager to read of this exciting collaboration. Alexia Hudson-Ward is the Azariah Smith Root Director of Libraries for Oberlin College and Conservatory. Ms. Hudson-Ward holds an M.L.I.S. from the University of Pittsburgh and a B.A. degree in English Literature and African American Studies from Temple University, and she is currently a Ph.D. student in the Managerial Leadership in the Information Professions program at Simmons College. (Contact at alexia.hudson-ward@oberlin.edu). 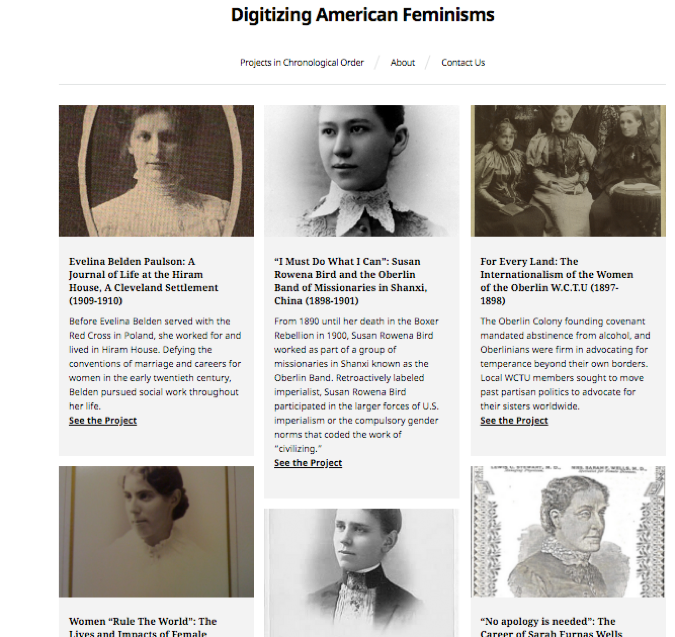 Carol Lasser, Emerita Professor of History at Oberlin College taught and published on nineteenth-century American history and women’s history before retiring in 2017. She is, most recently, joint author, with Gary Kornblith of Elusive Utopia: The Struggle for Racial Equality in Oberlin, Ohio (Louisiana State University Press, 2018). (Contact at Carol.Lasser@oberlin.edu). Sarah Minion graduated from Oberlin College in 2017 with majors in Politics and Comparative American Studies. Interested in the nexus between grassroots community organizing and meaningful policy change, she currently works at the Vera Institute of Justice. (Contact at: sminion@vera.org). Natalia Shevin is an early childhood educator in New York City. 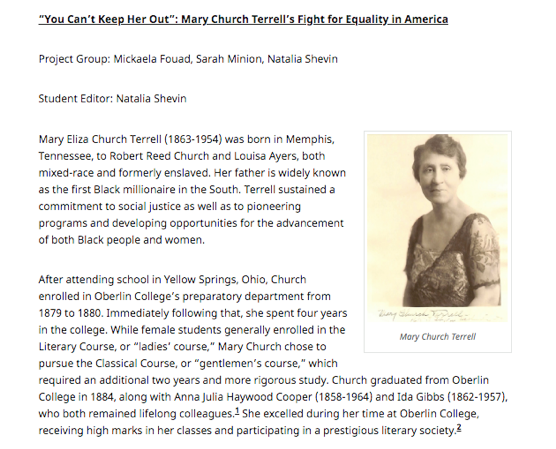 She graduated from Oberlin College in 2017 and recently published a document collection about Mary Church Terrell in the online journal, Women and Social Movements in the United States. (Contact at: natshevin@gmail.com).